It’s not always easy to talk about estate planning, but it is vital. Not just for financial and emotional peace of mind, but because protecting your family is the ultimate gift. Don’t leave these important decisions to the government. Start your estate plan today. Estate planning should be simple, convenient and affordable. With EP Navigator, it is. you'll get the highest quality documents at a fraction of the cost. 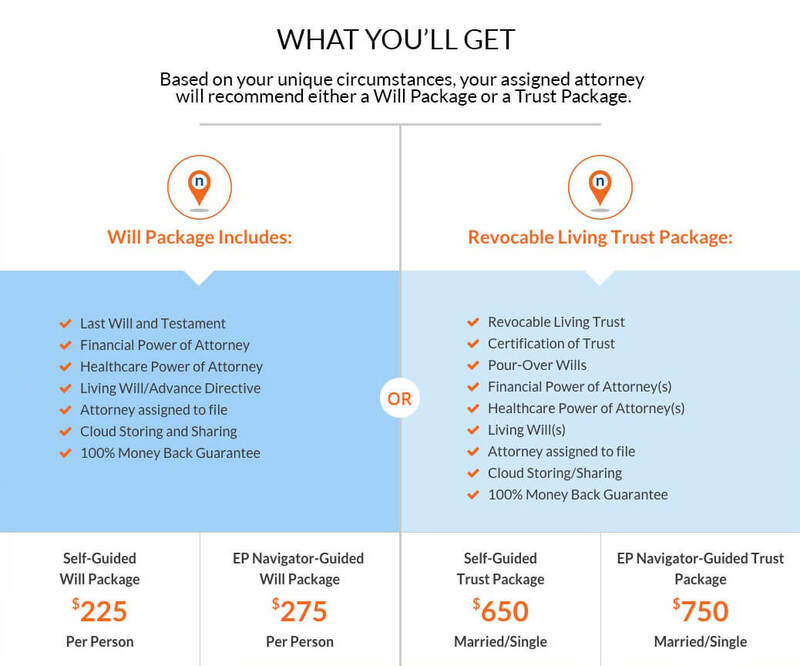 you through the estate planning software, or completing the process on your own. A member of the EP Navigator team will provide you with non-legal guidance through estate planning software via phone call and/or computer screen share. Complete the process on your own using our easy to follow software with automated guidance.